Published March 15, 2018 at 808 × 466 in Zihua to La Cruz. The Mayor’s (dinghy) Raftup in on Fridays in Tenacatita. 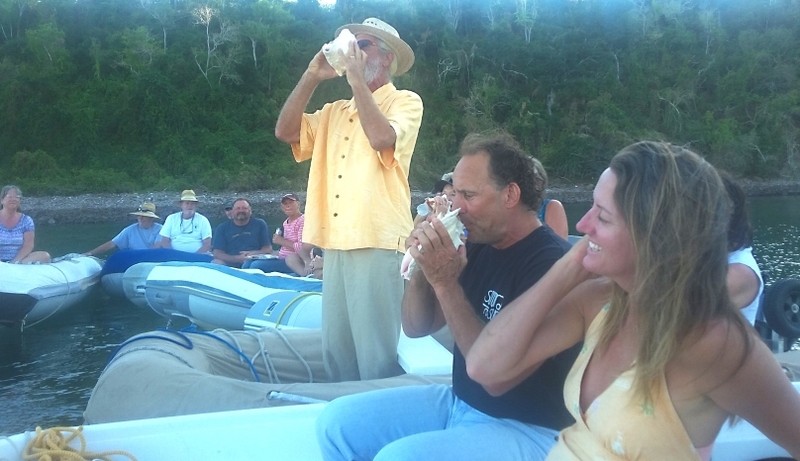 Traditiion dictates that you blow into a conch shell at sunset. Donna found one but a crab was in residence so we threw it back in the sea. Robert (standing) is the longtime “mayor” of the bay.